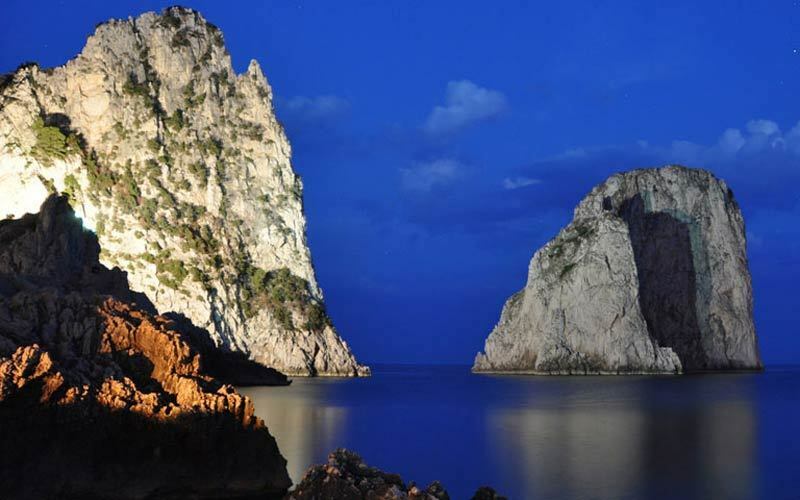 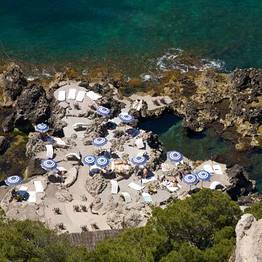 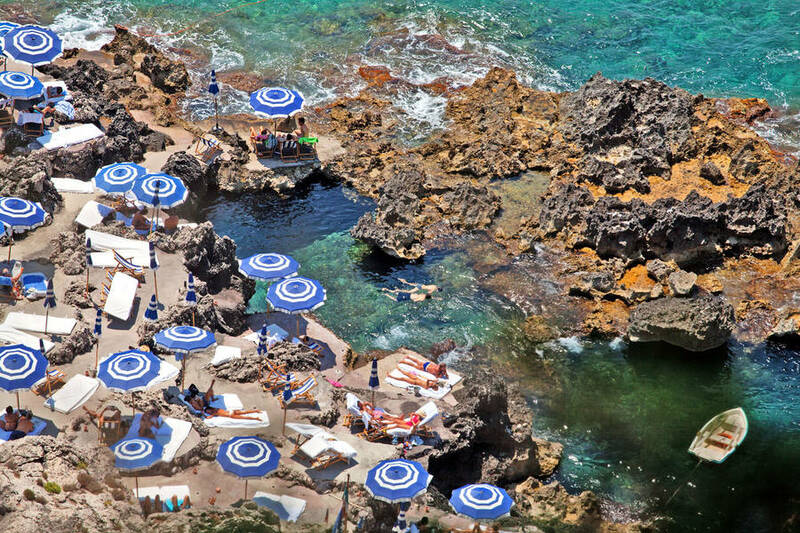 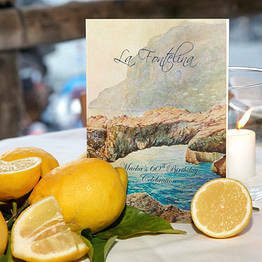 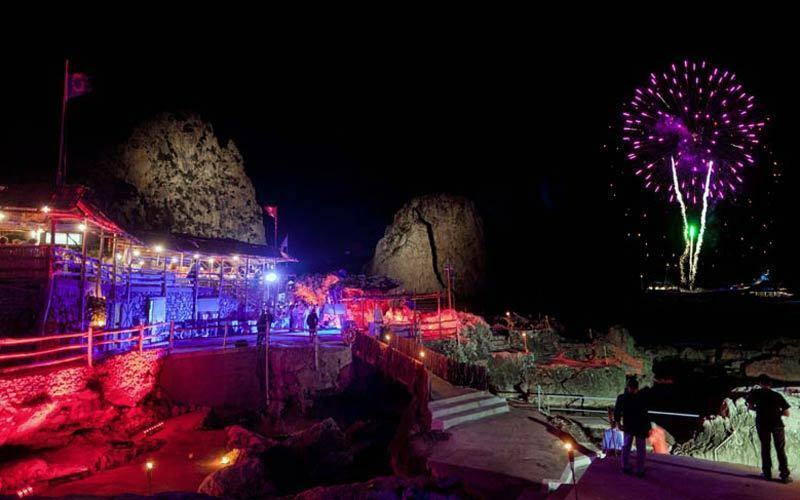 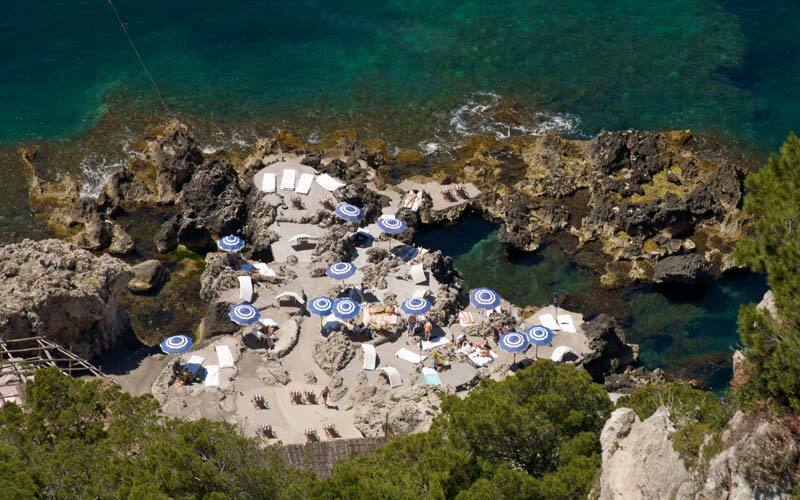 At the foot of Capri's Faraglioni rocks, where the sea is warm and crystal clear and the silence is broken only by the sound of the waves, you'll find Fontelina: the restaurant belonging to the historic beach club with which it shares its name. 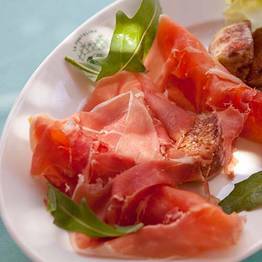 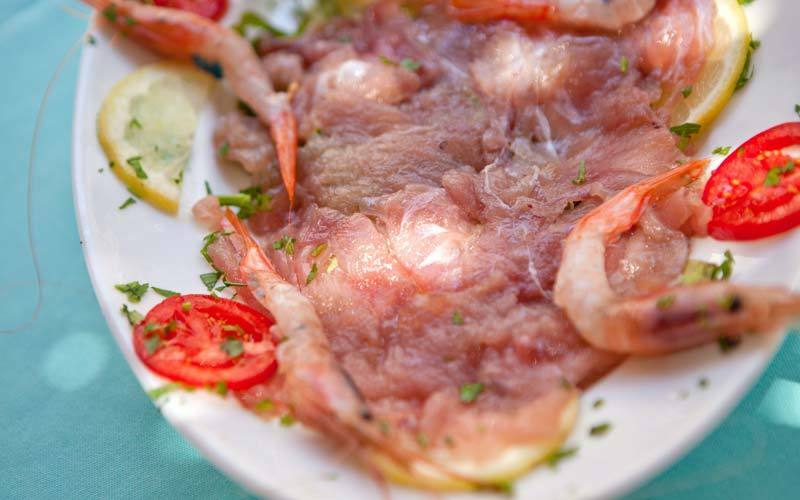 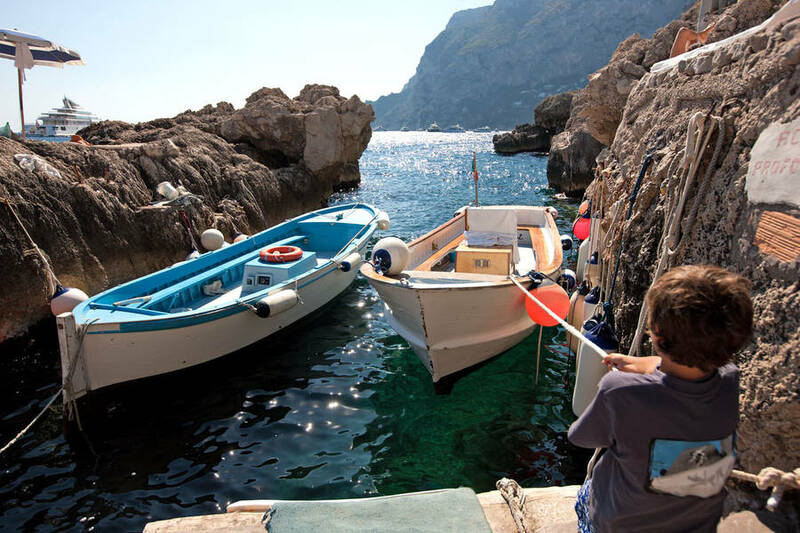 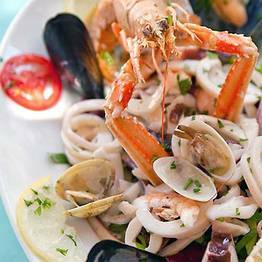 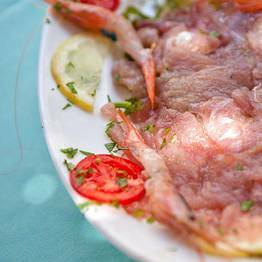 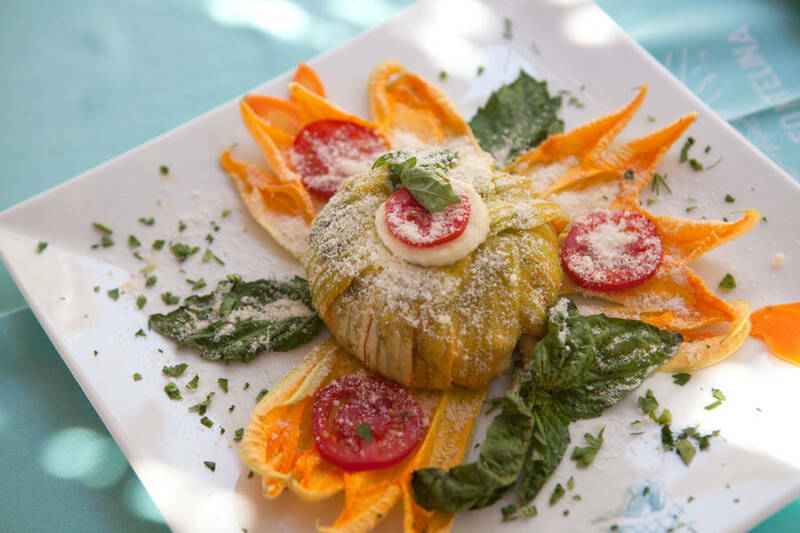 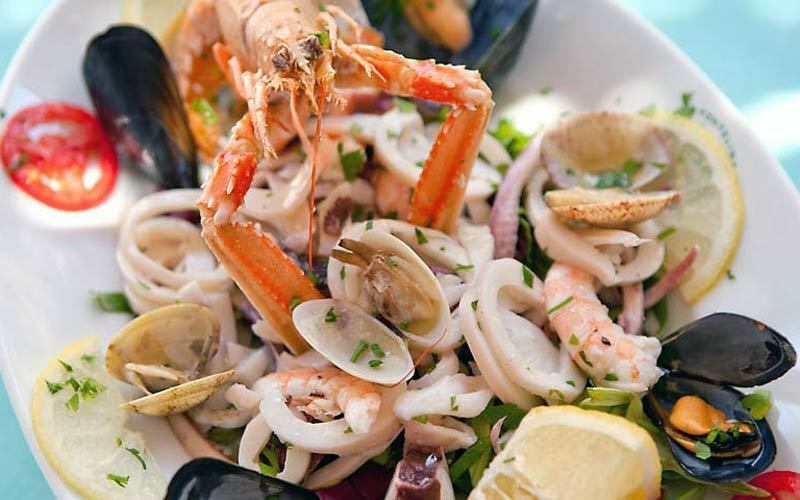 Run for more than half a century by the Arcucci and Gargiulo families, Fontelina is famous for its exquisite maritime cuisine, prepared with the freshest of fish and seafood. 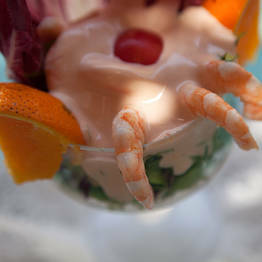 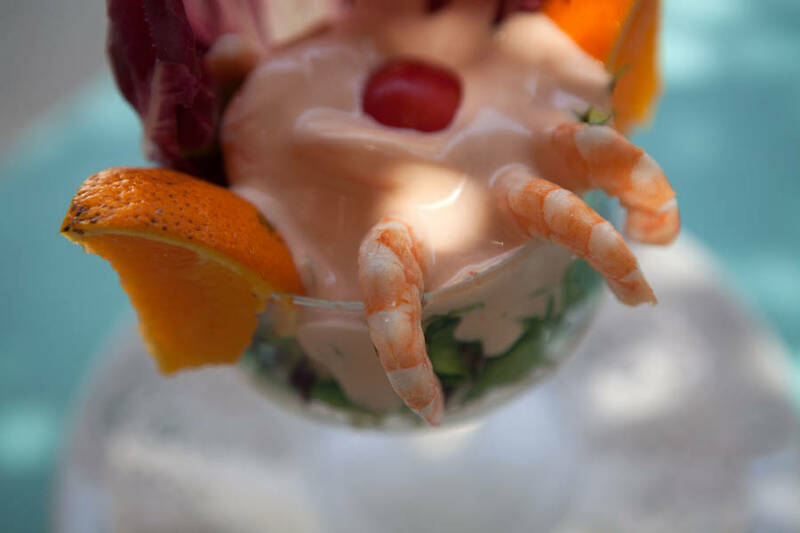 The restaurant's sangria, provides the perfect accompaniment to dishes which are both pleasingly simple and surprisingly light. 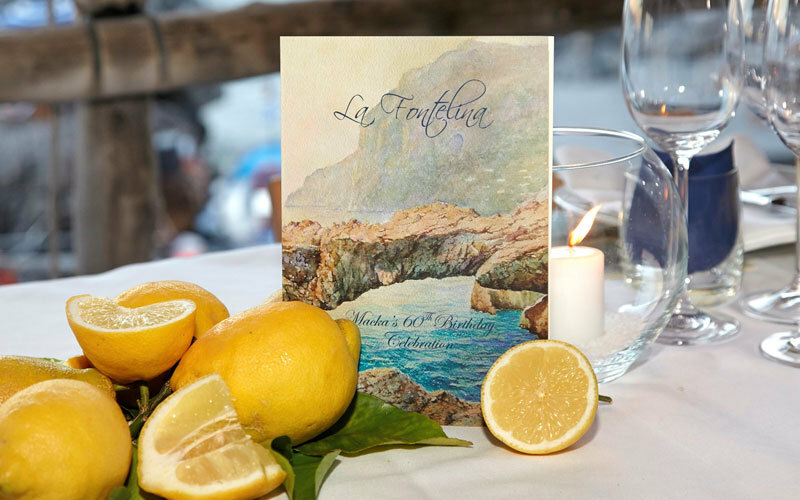 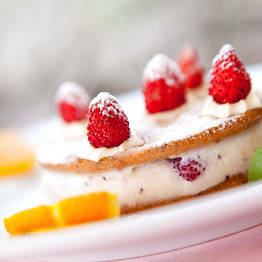 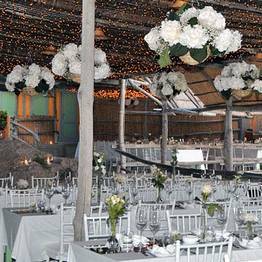 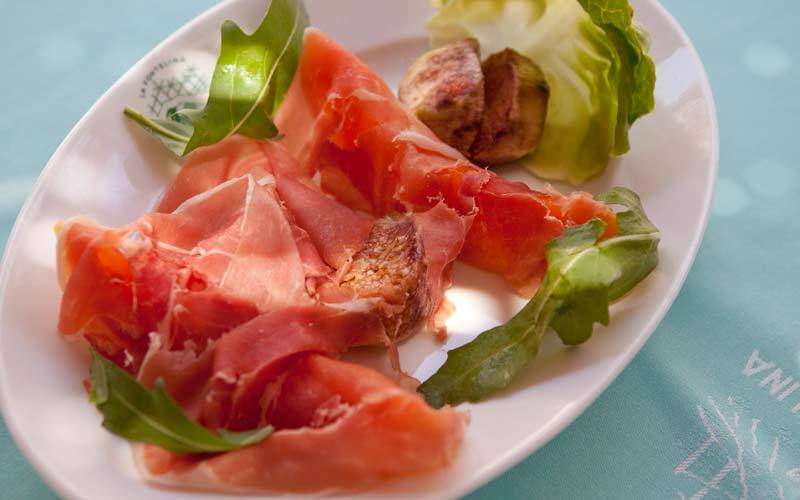 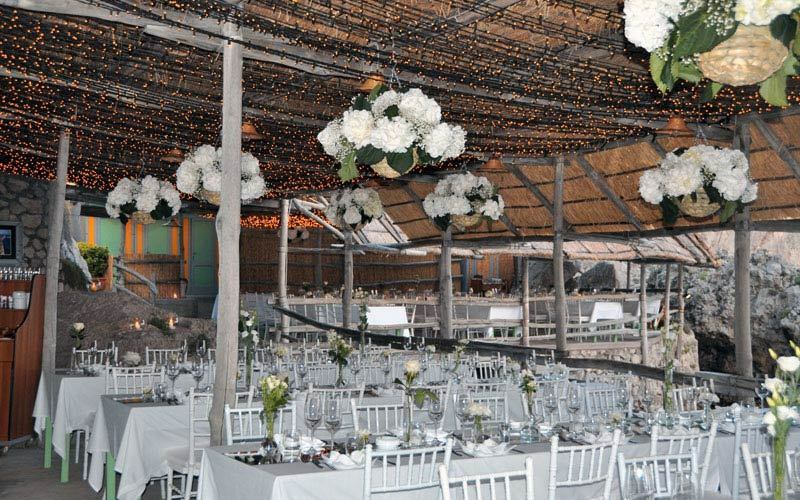 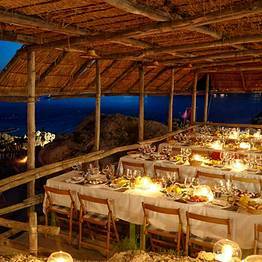 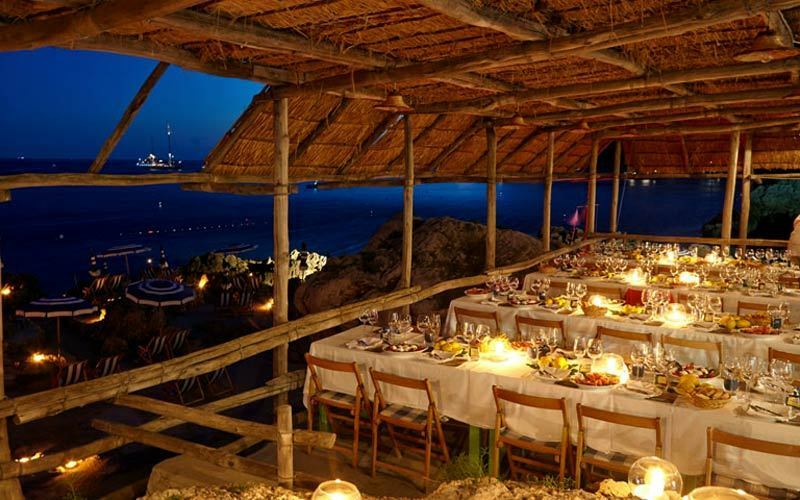 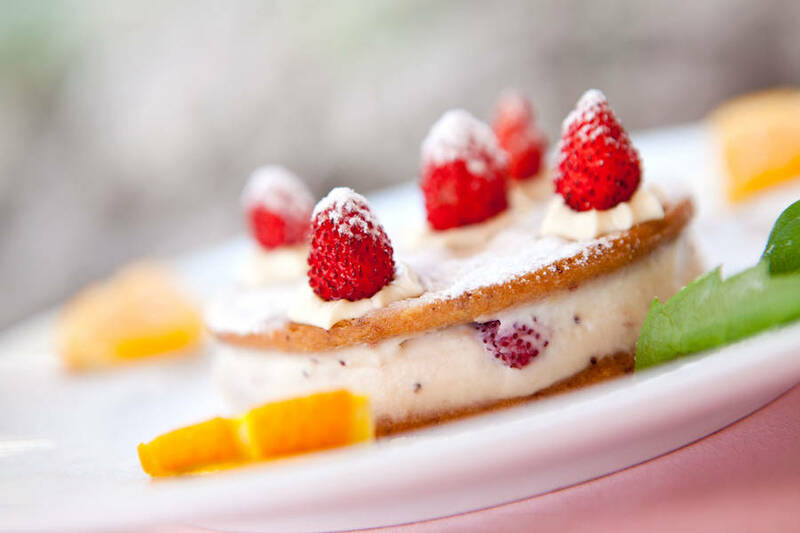 The fabulous food, wonderful wine and breathtakingly beautiful location - within swimming distance of the Faraglioni - make Fontelina the kind of place dream weddings come true! 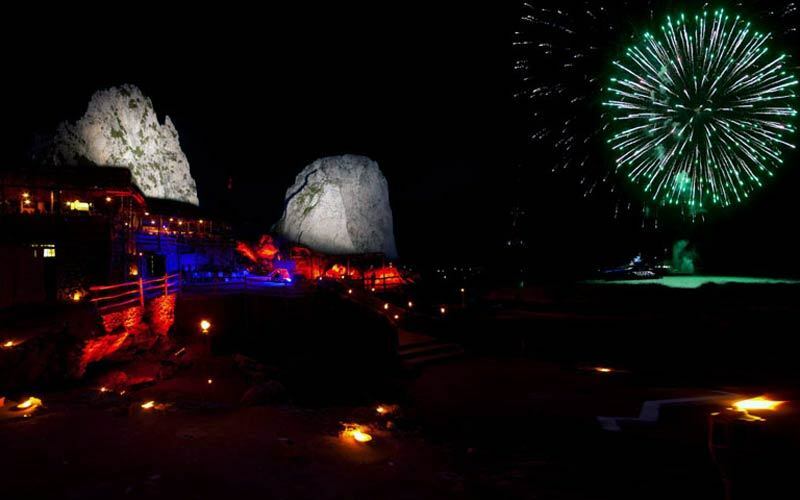 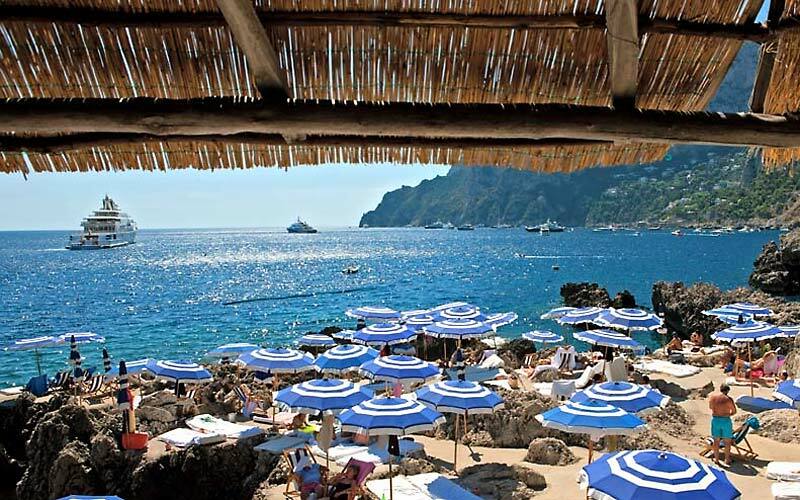 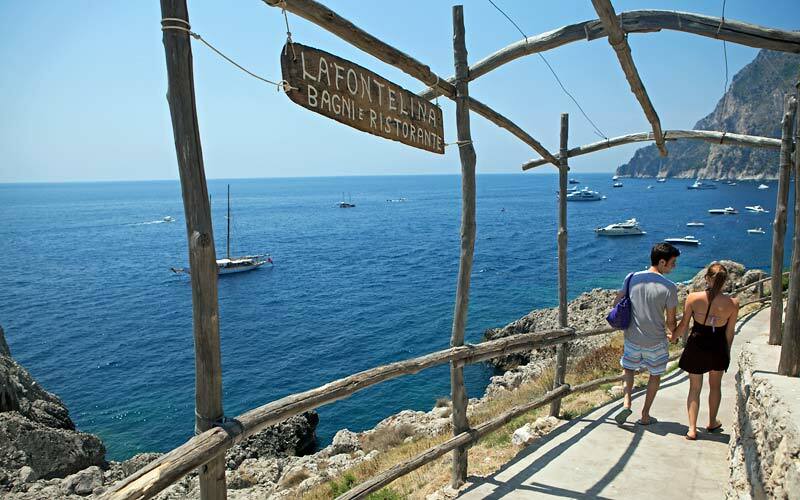 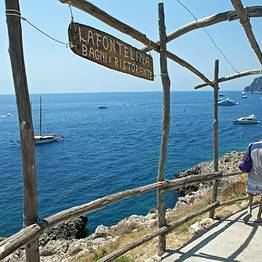 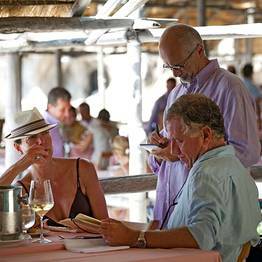 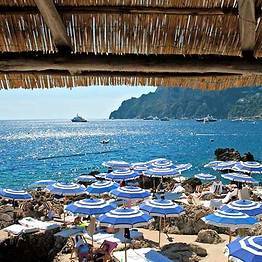 Fontelina is one of the island's favorite beach clubs, easily reached on foot, from the Tragara viewing terrace, or by taxi-boat from Marina Piccola. 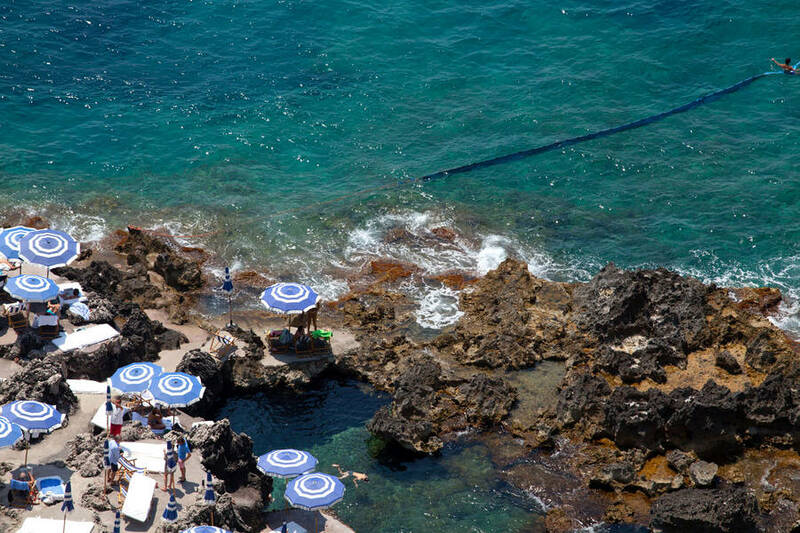 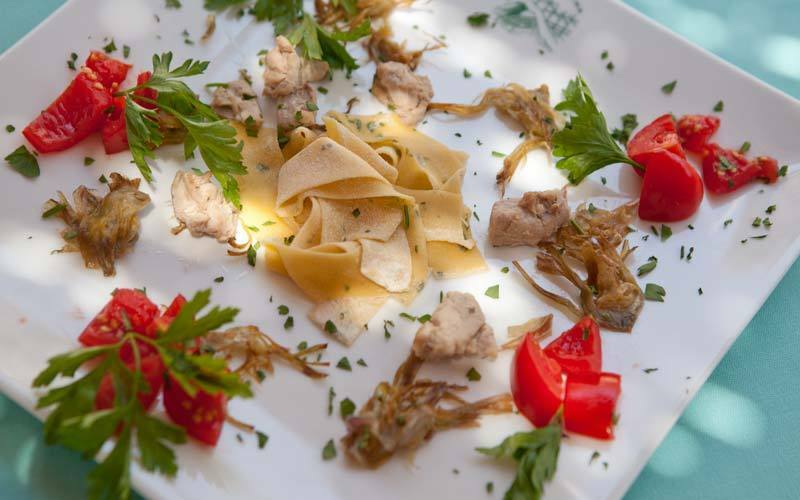 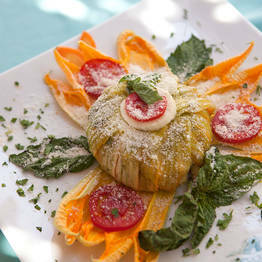 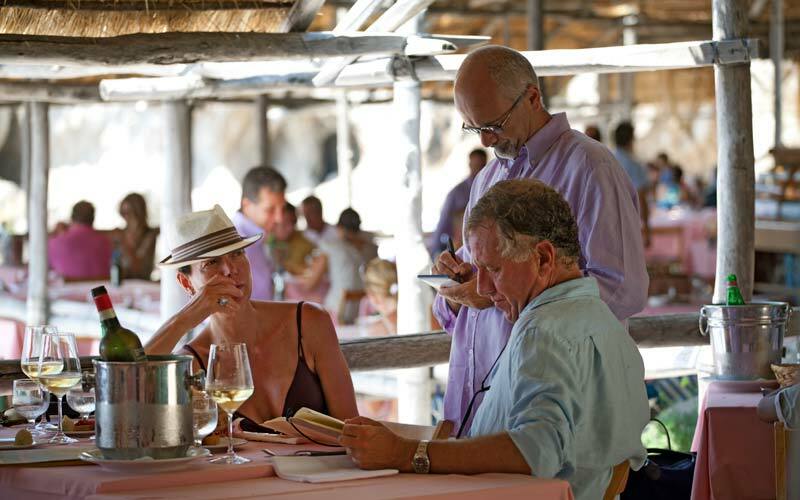 We suggest you book your table as soon as you arrive on the island, especially if you plan to visit Capri in the peak summer months. 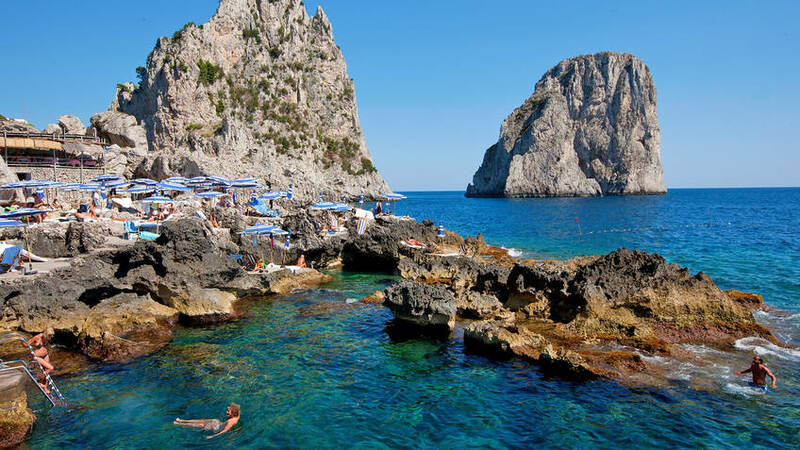 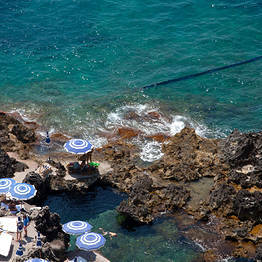 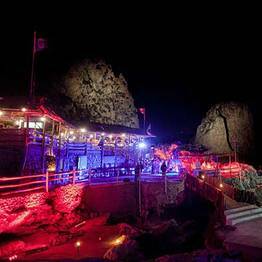 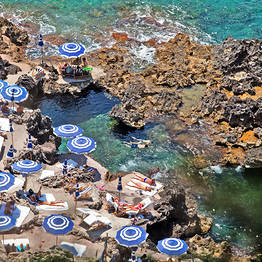 Fontelina's rocky beach is made up of shallow reefs, making it unsuitable for small children.